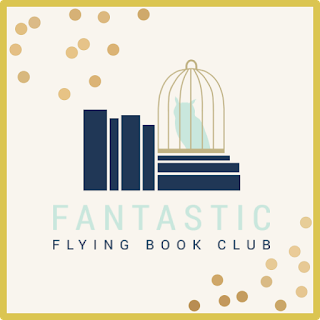 Inspired by all the blogs who do these joint discussions, The Reviewers Roundtable is our version of a weekly feature where we discuss a book related/blogging topic. I love this new discussion group, it's so fun!! How Do You Balance Blogging and "Real Life"? I definitely feel the pressure to do more with my blog, especially when I read posts of people who say you aren't going to be a successful blog unless you post content EVERYDAY. That's ok though... I'm not worried about being successful, I just want to be happy, talk with people about books, and still enjoy blogging. So how do you balance real life and blogging life? Do you do a good job of it, or are you stressed sometimes? Do you ever feel pressure to post more or read faster? What a great article! I struggle with balancing my blog life and my real life everyday! I am a full-time CPA and a tax focused one to boot. Feb-Apr is just horrendous. I just recently started blogging and I feel I may have over committed myself. But I am just the type of person that goes full-in from day one. It's nice to know that I am not the only one and that it is ok to scale back sometimes. I need to remember that. Wow yes this time of year has to be completely nuts for you. 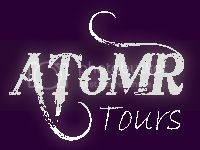 I would definitely not be signing up for any blog tours during until may!! So much yes. I wish I could get scheduled weeks in advance, but I'm lucky to have stuff ready a day or two early. I mean, obviously some stuff, like Cover Snark and book hauls can't be done in advance, but it's just so hard to get ahead, even on things like reviews. Most of them were written a couple hours before posting. Keeping my word is very important to me. The first week of March I had four blog tour posts due and I was reading frantically to finish them all. Every single one finished at the last minute but I DID it. Oh man I did that too not too long ago where I was like finishing up the book at 10pm for a midnight review... I was sweating!! This is a topic I have been planning to write about for awhile. I actually wrote it down in my notebook but haven't actually typed it up. I hope to get one up in the next month or so though. I don't work or have school but I have kids and I find myself really struggling to get it all done. I do schedule at least a week out (usually two) but it's important to me to get my reviews prepped right after reading the book. With running the promotions I do I find myself pretty much working a full time job. But that's just how it goes and while I love it, I know that I need to work on a better balance as my family has been getting neglected. I'm planning to step back and reevaluate things in May. I totally agree with everything. You said. I usually finish a book, write the review, reread the review, and post it so if I post a book review you know I have finished the book within a couple of days. Peter Pan is the only review so far that I have withheld. I post 2 to 3 post a week. For a while I kept feeling like I needed to post everyday. Eventually I found the right amount of posts that works for my schedule. I just have to remind myself that this is just a hobby and I need to still live my everyday life. I wish I could be weeks ahead. I do all my blogging the night before and schedule for the morning. I have a teenage boy, an adult daughter, and a grandson on the way. Not to mention a hubby, a german shepherd, and a full time job. Oh and I have to fit in my reading. So keeping up with my blog takes dedication and lots of time. I don't however have time for cleaning, exercising, or a social life... so i guess there is a down side. I do try to leave my weekends for family time and laundry... a little bit of cleaning. Now I am babbling. 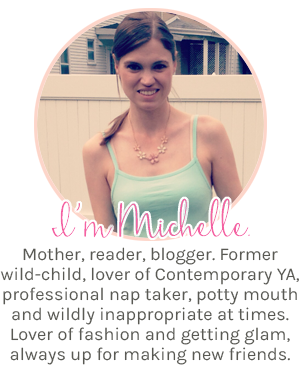 I do what I can to keep up with my blog because I love it. It de-stresses me and gives me something of my own. So I make the time. I do wish I had more but I work with what I have. Great discussion topic! As a total newbie to this whole book blogging world, I find it has been really easy to get sucked into it. I currently am at the point where I have a post daily, but not because it's a chore or feel like I have to. As of right now, it's actually sort of an addiction! I LOVE logging on to see new comments and I feel like if I don't have a new post, I won't get comments, and then I'll be all alone. lol. Ridiculous, I know. Of course, with this semester ending in about five weeks and numerous papers and projects starting to be due, I can easily see that I might have to take a step back. I'm not quite sure when that'll happen, but I'm sure it's coming soon. Luckily I'm one of those silly people whose posts are written a week in advance so if I need a break I won't feel too bad... I don't think?